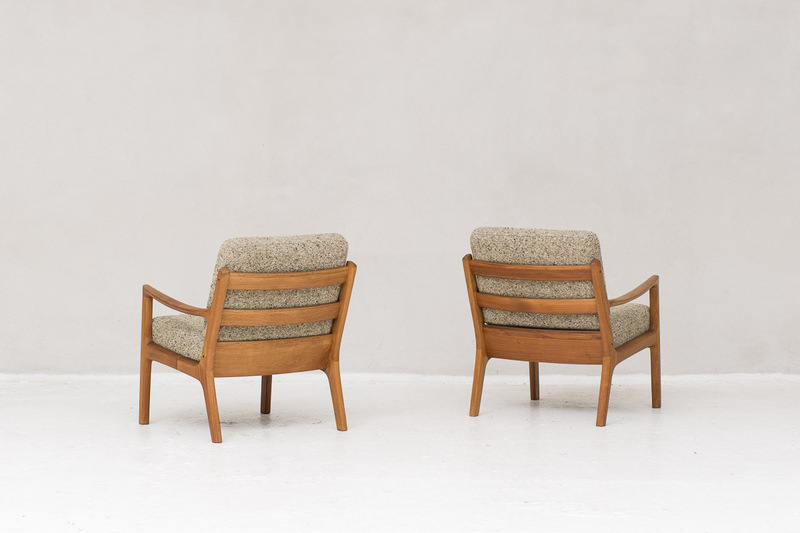 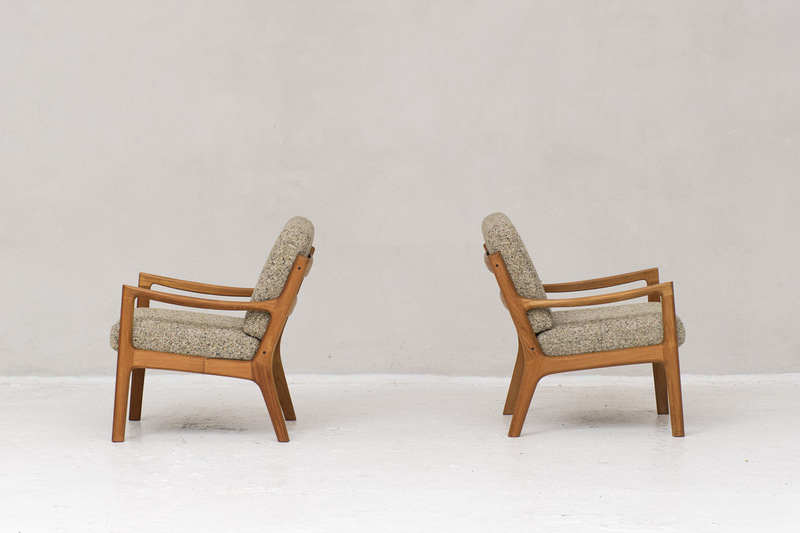 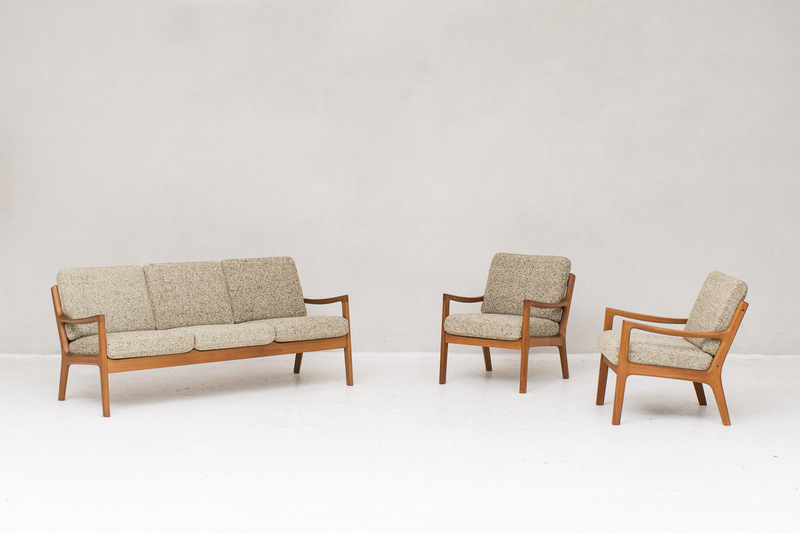 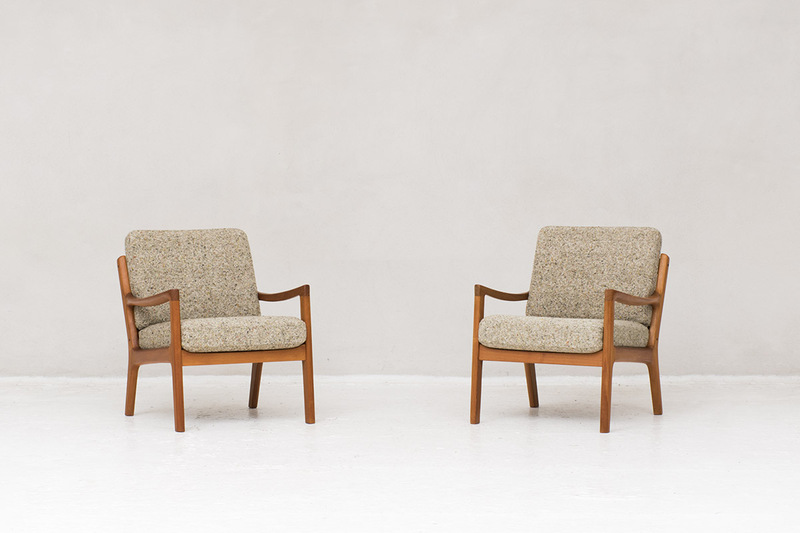 Set of 2 easy chairs, model 166, designed by Ole Wanscher and produced by Cado in Denmark around 1950. 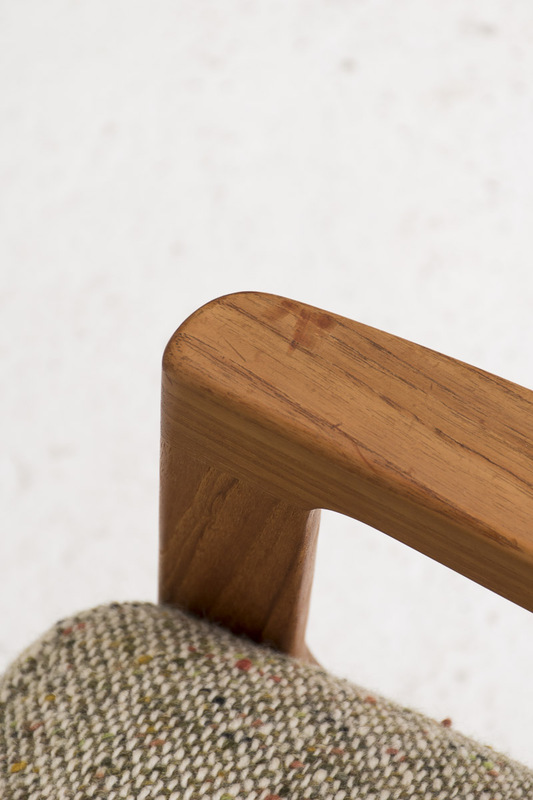 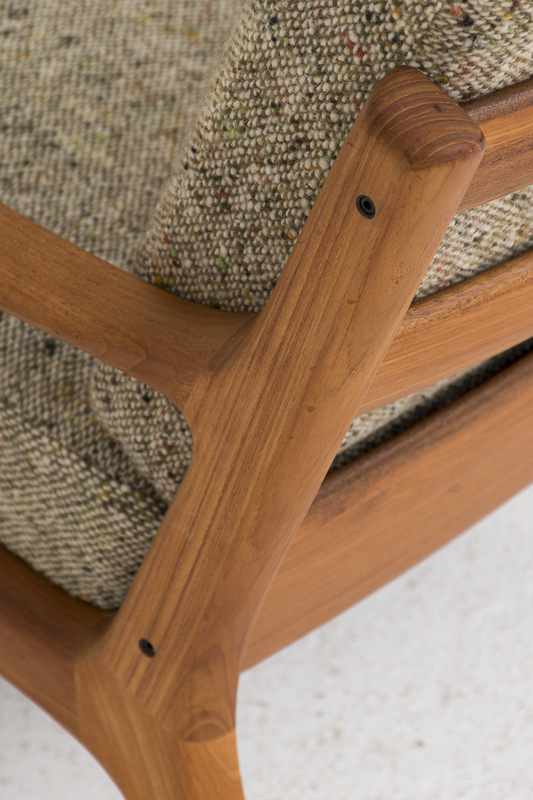 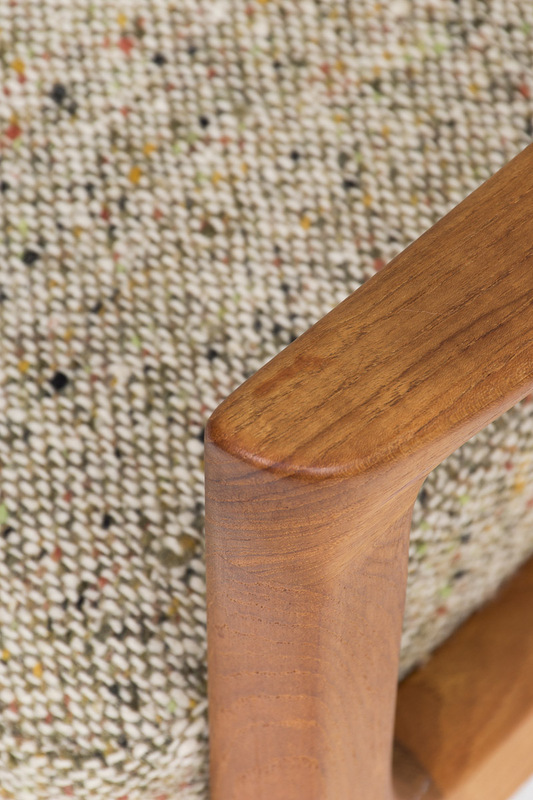 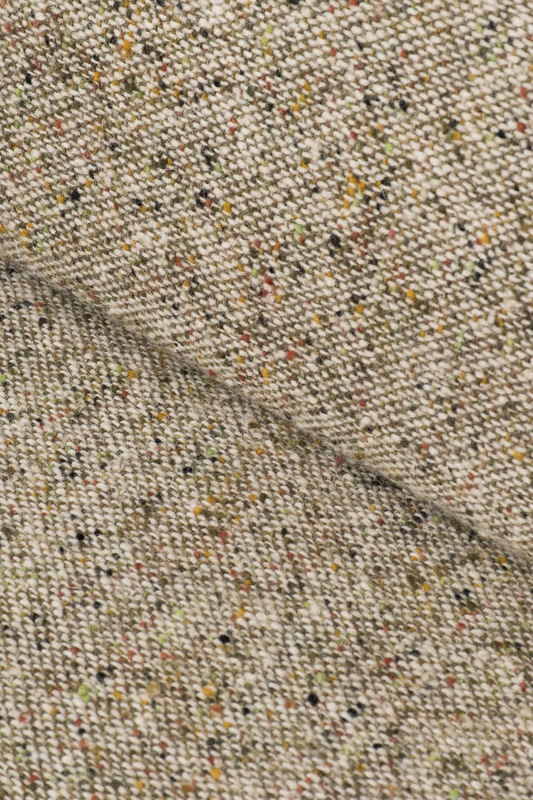 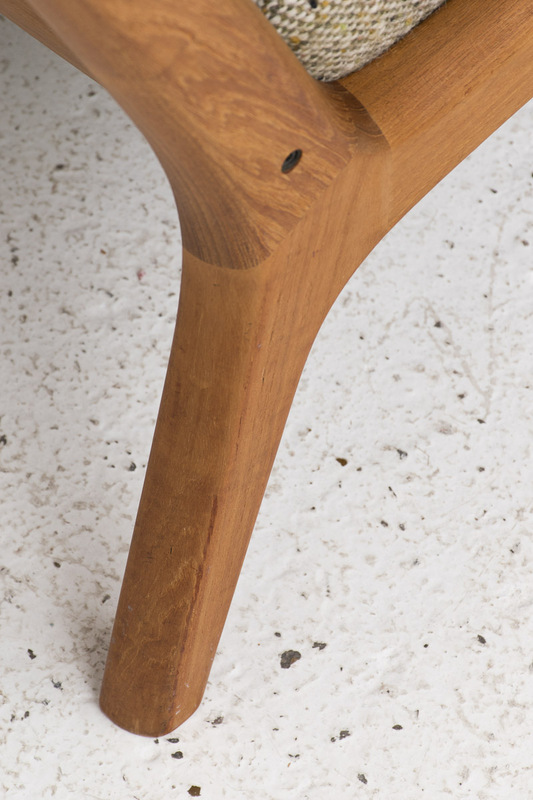 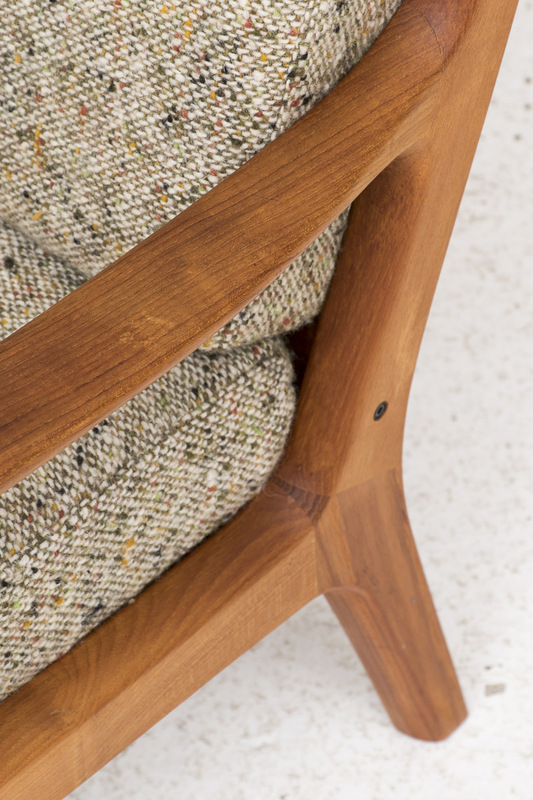 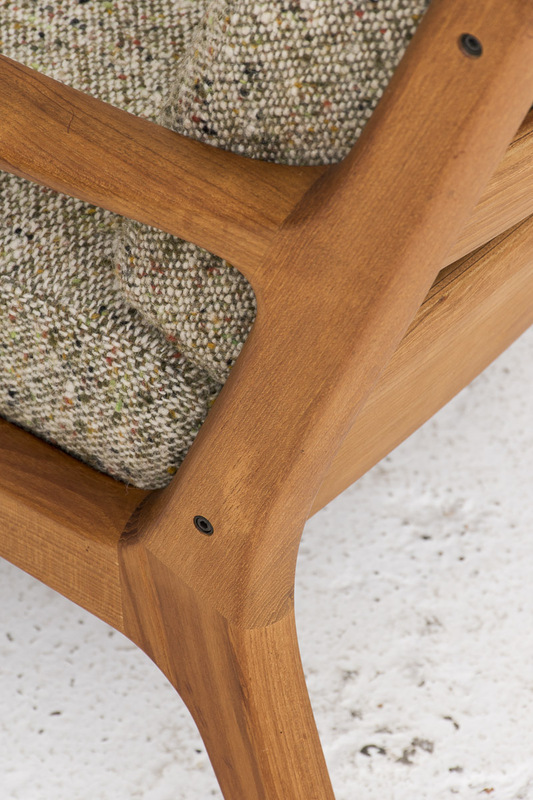 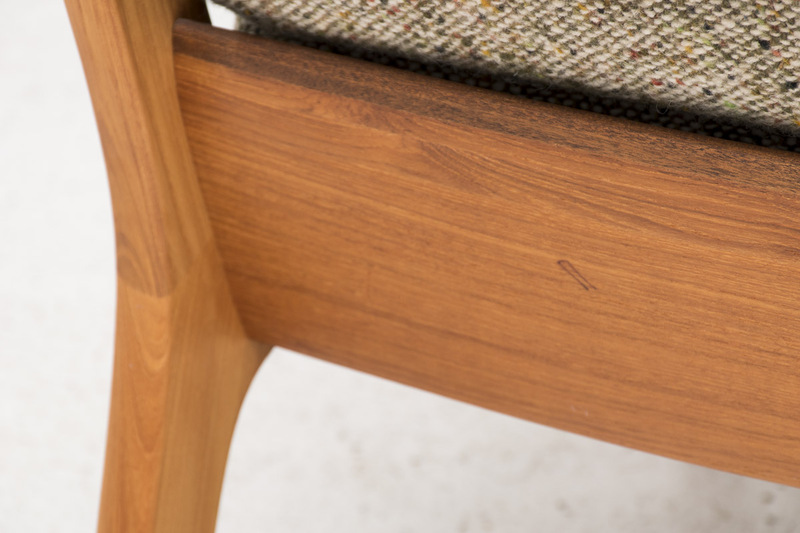 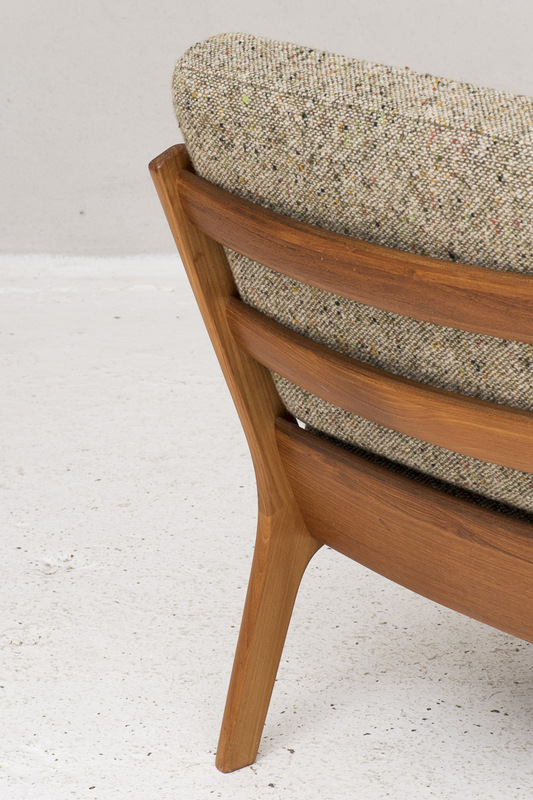 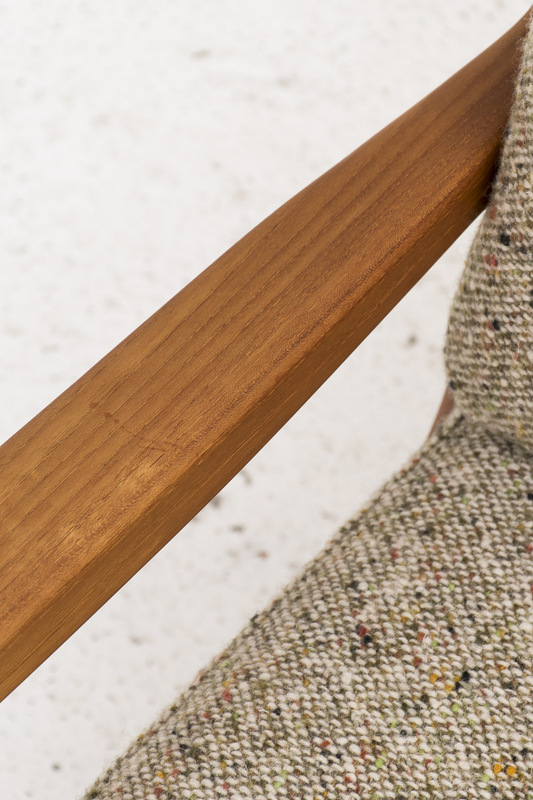 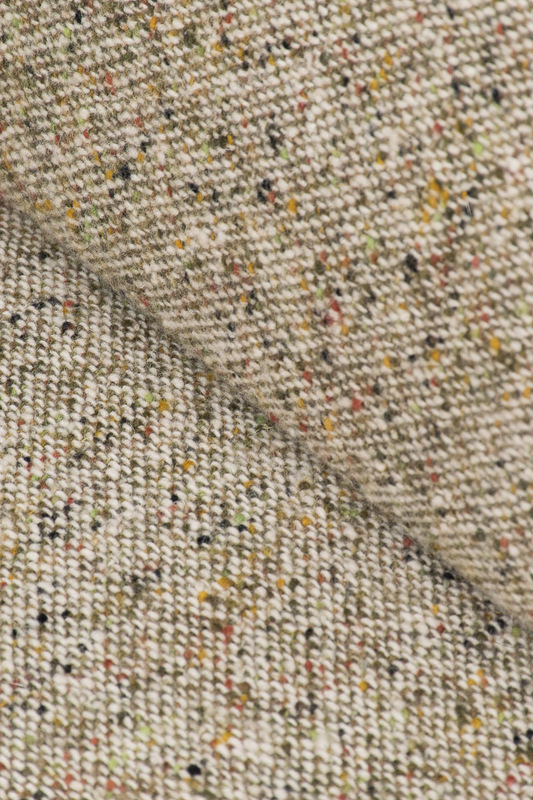 Solid teak frame and upholstered with original multicolered wool fabric. 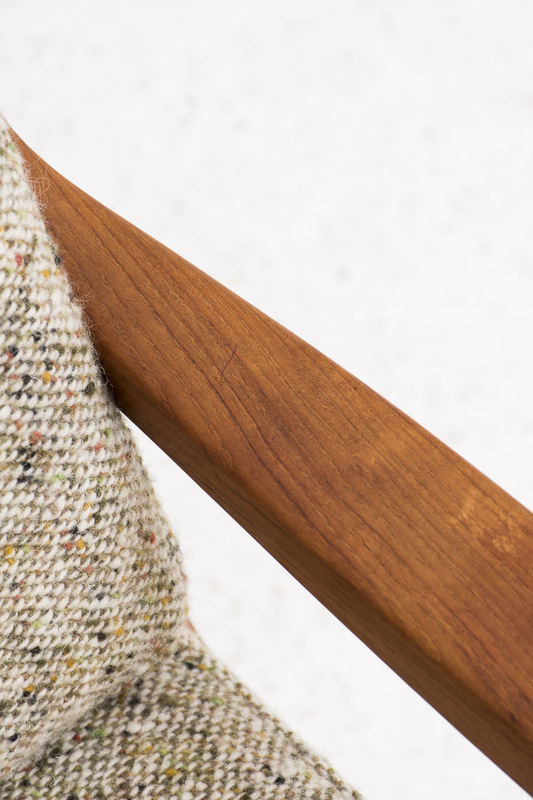 The pillowcases can be taken off thanks tot he zippers. 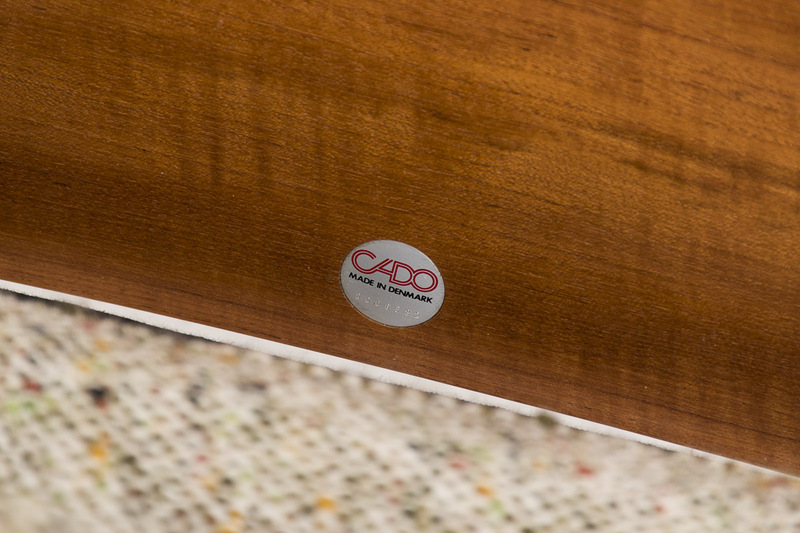 Marked with the original manufacturers Cado label. 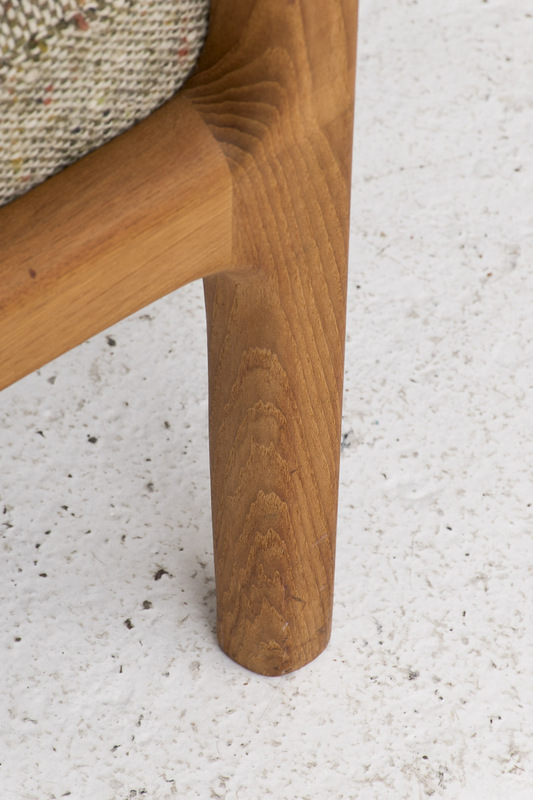 In excellent conditon.